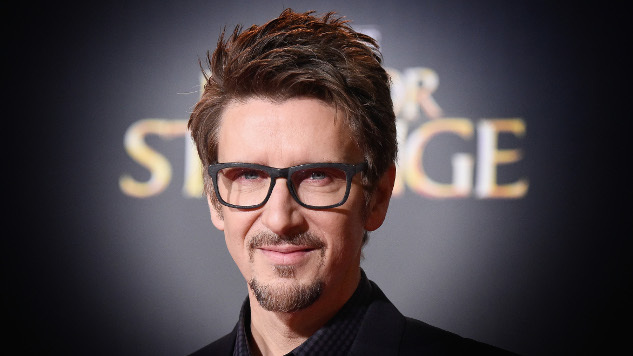 Doctor Strange 2 is now in development, with Scott Derrickson returning to direct, per THR. Benedict Cumberbatch and Benedict Wong are set to reprise as Stephen Strange and his righthand man Wong, respectively, and Rachel McAdams is also expected to return as Stephen’s love interest, Christine Palmer. The first Doctor Strange also starred Chiwetel Ejiofor, Michael Stuhlbarg, Mads Mikkelsen and Tilda Swinton. Derrickson, who helmed and co-wrote the 2016 Doctor Strange, introduced the mystical superhero into the Marvel Cinematic Universe fold, with fittingly mind-bending visuals to boot. Stephen Strange was part of half the universe to get decimated by Thanos’ finger snap at the end of Avengers: Infinity War, though before his demise, he was the one to tease the title of the franchise’s follow-up, Endgame. Marvel Studios has kept quiet about its post-Endgame slate, which it is calling Phase Four, but it’s safe to say we haven’t seen the last of these heroes. Marvel is now on the hunt for a writer for Doctor Strange 2, with plans for a spring 2019 production start and a tentative May 2020 release date.